This is Queen's one and only show in Norway. 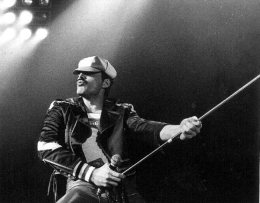 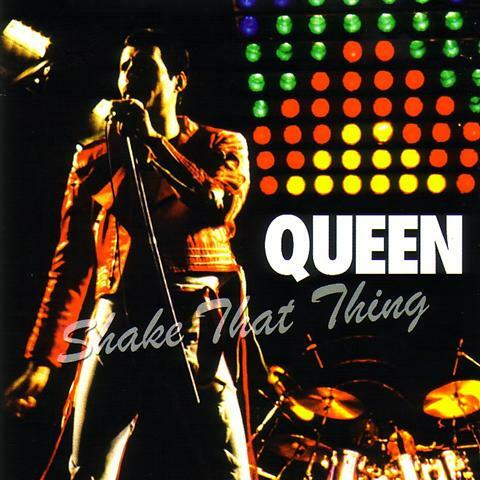 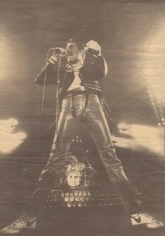 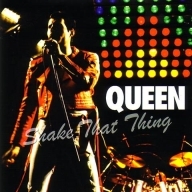 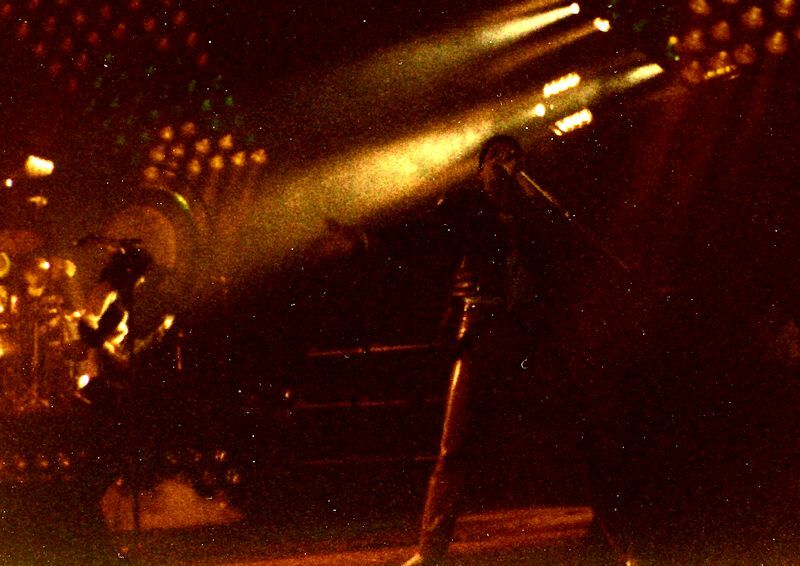 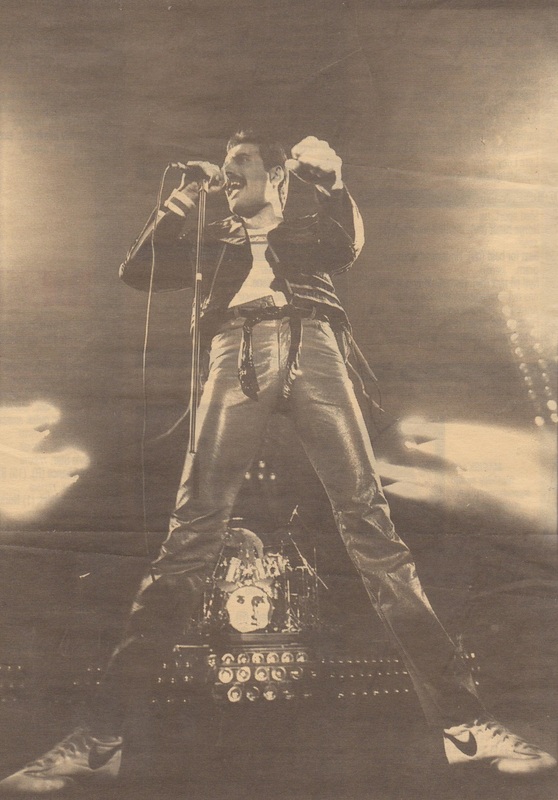 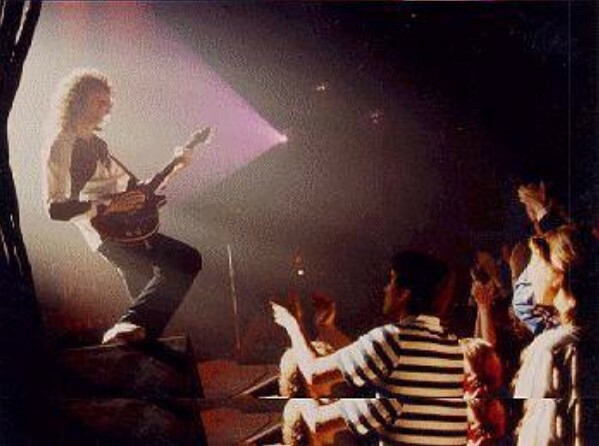 Freddie introduces two songs in the same sentence, both of which were rarely introduced: "That was a new song called Action This Day, and this is an old song called Play The Game." 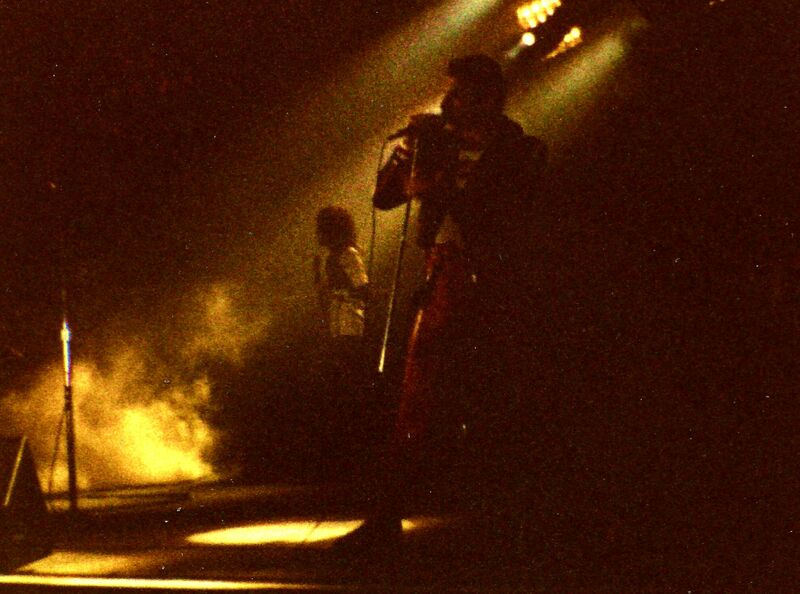 Although he then messes up a couple words in the first verse of Somebody To Love, it's an otherwise excellent version of the song. 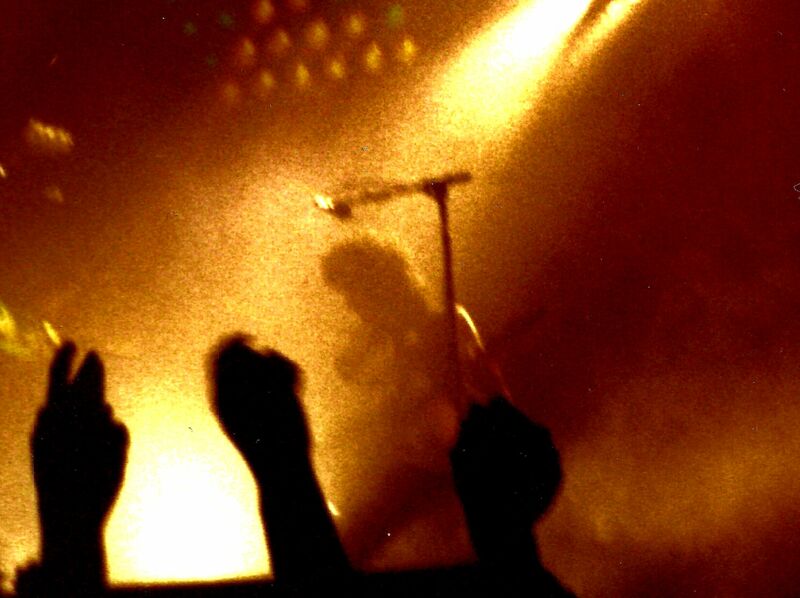 Overall he gives a strong vocal performance tonight, although he's a bit rough in a few places earlier on, like he was in Stockholm. 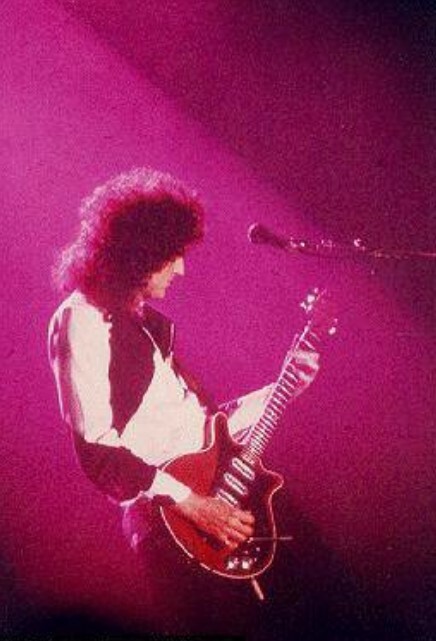 Tonight brings some further guitar solo experimentation at the beginning of the tour, as Brian gets his spot between Dragon Attack and the Now I'm Here reprise this time. 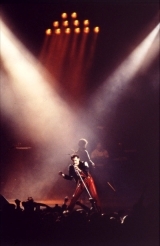 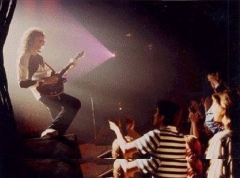 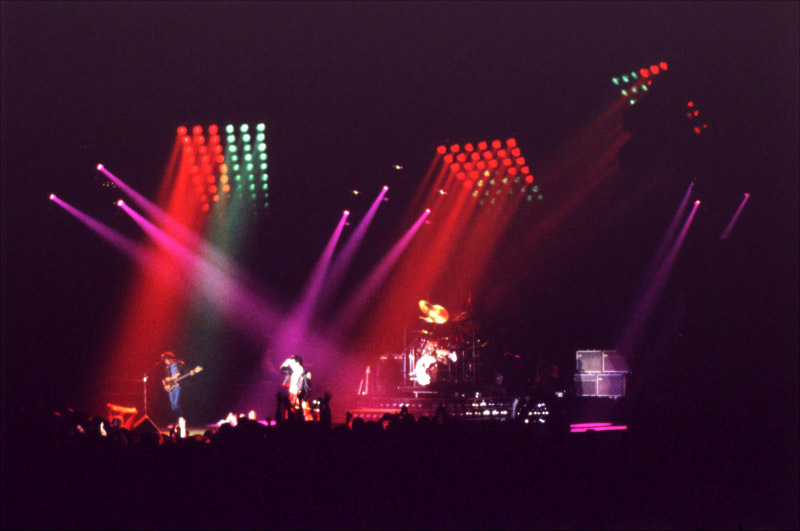 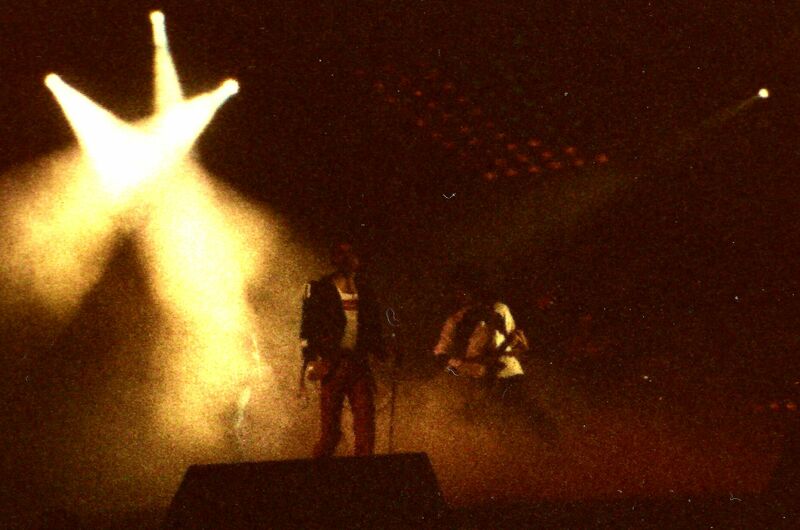 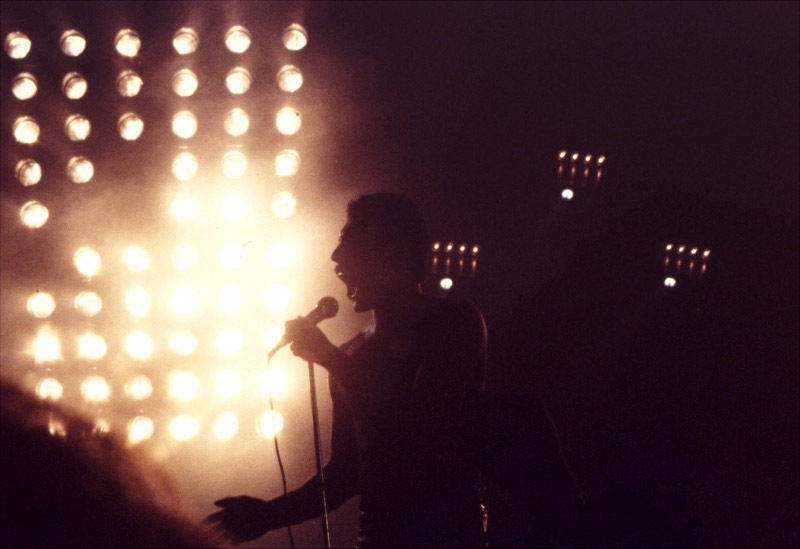 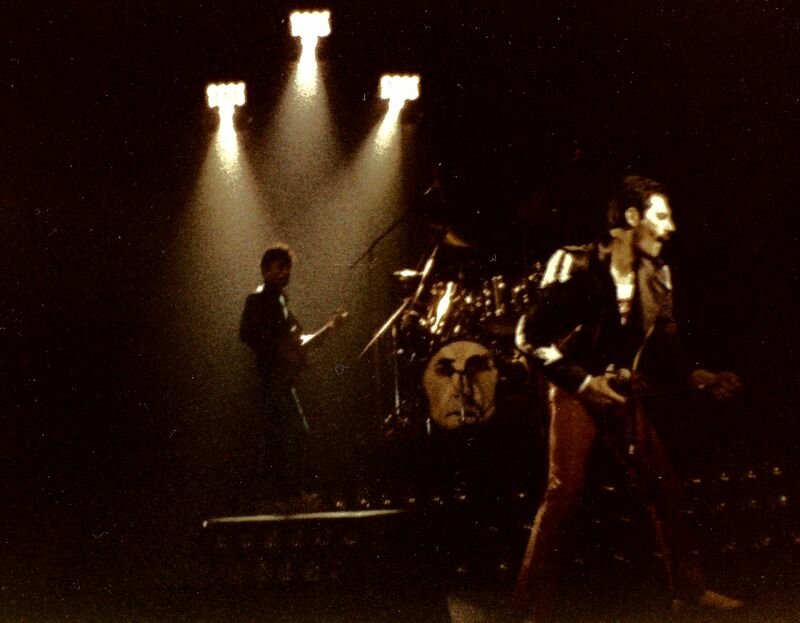 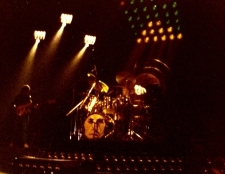 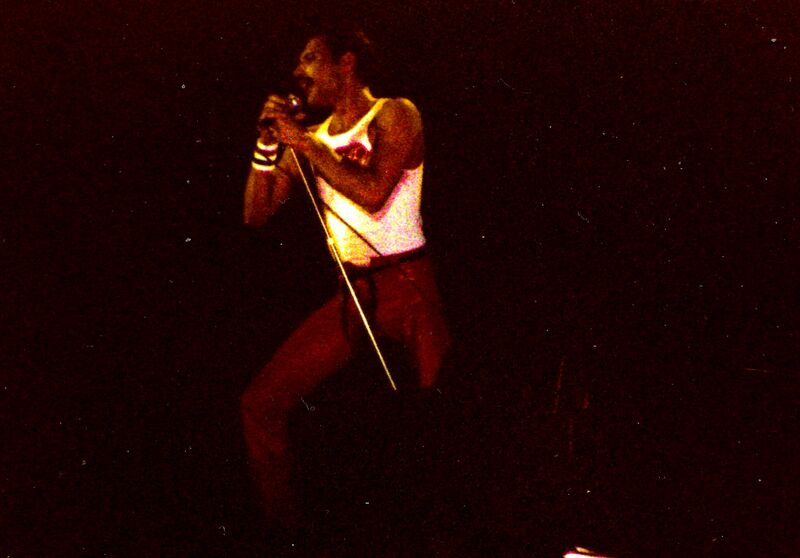 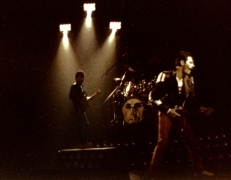 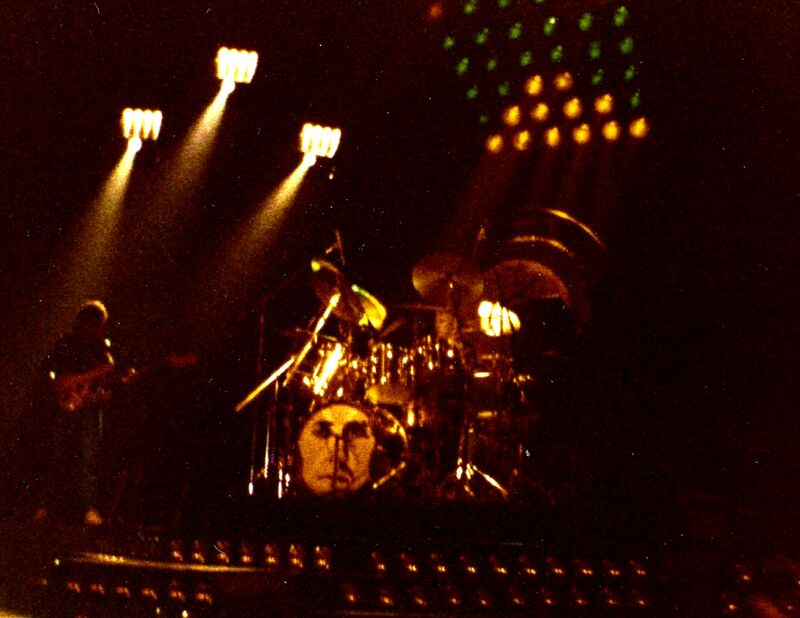 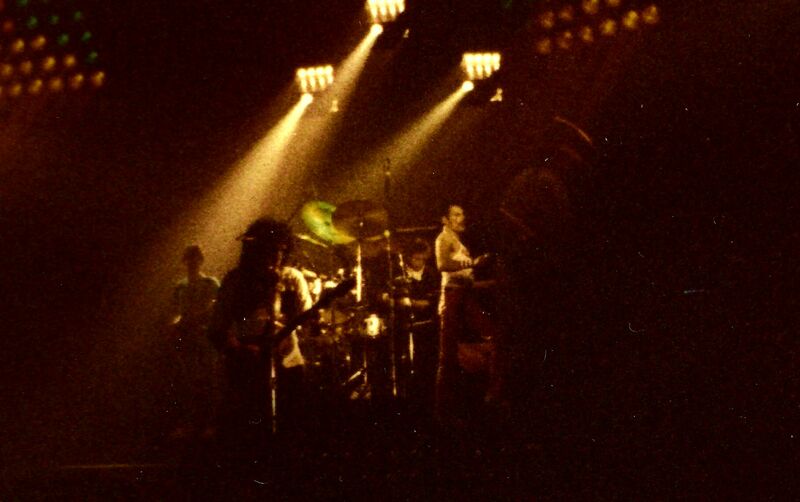 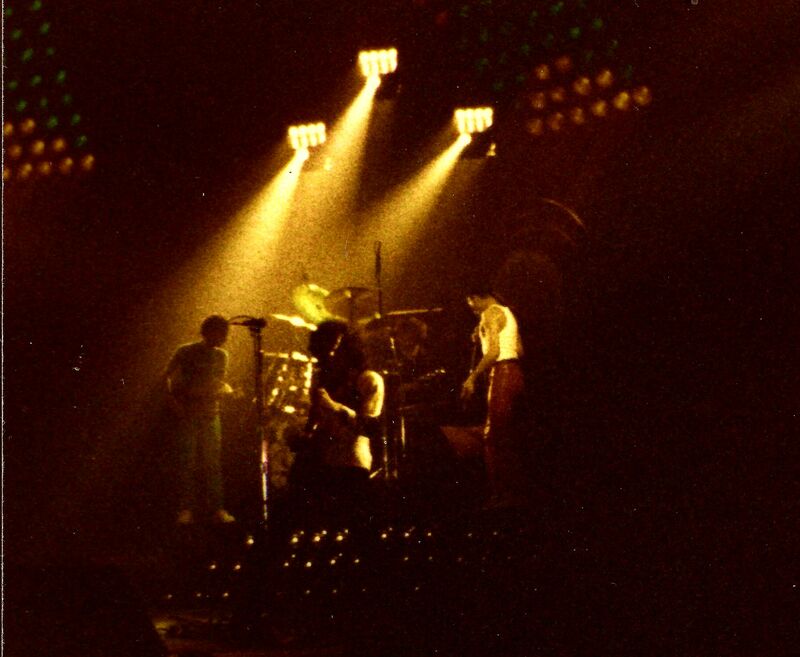 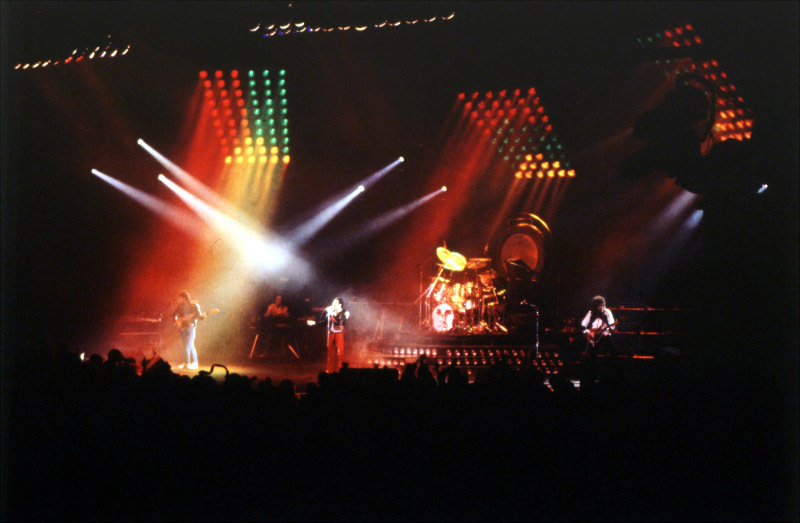 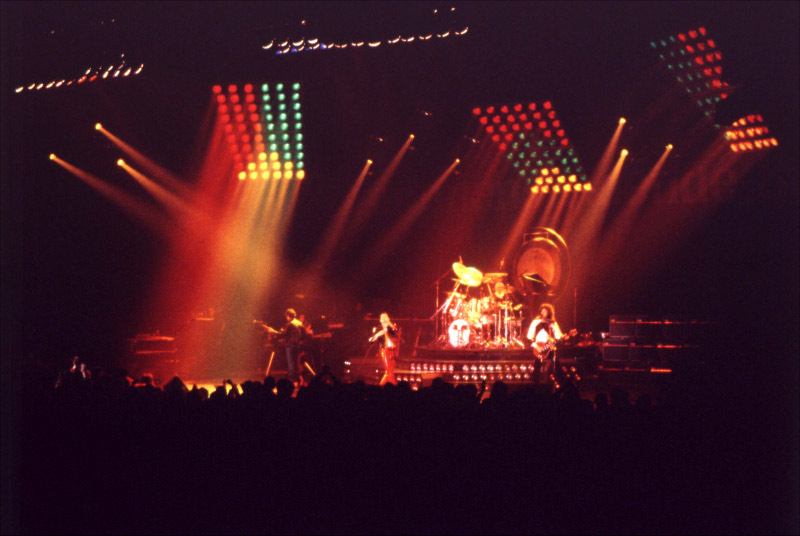 This is also the first time when Freddie would play the intro of Death On Two Legs on the piano before beginning Bohemian Rhapsody, now that the song itself has been dropped from the act. 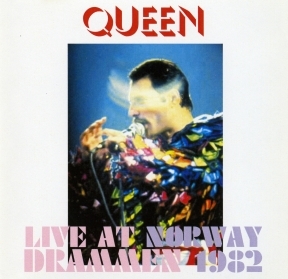 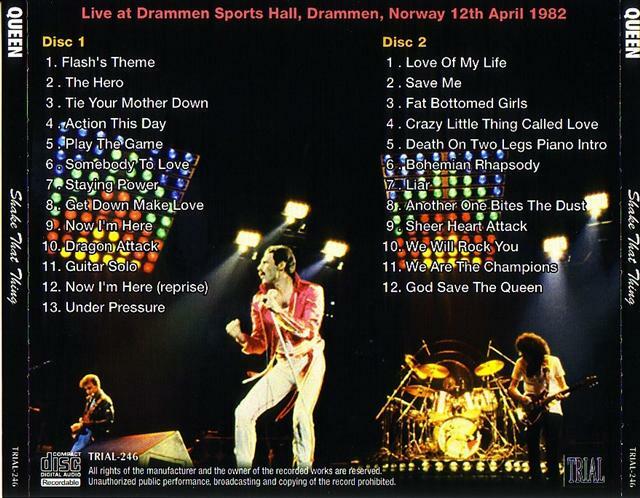 And the people of Norway are treated to Queen finishing their set with Liar - something never to be repeated. Brian uses his slide in the manic section of Sheer Heart Attack to great effect. 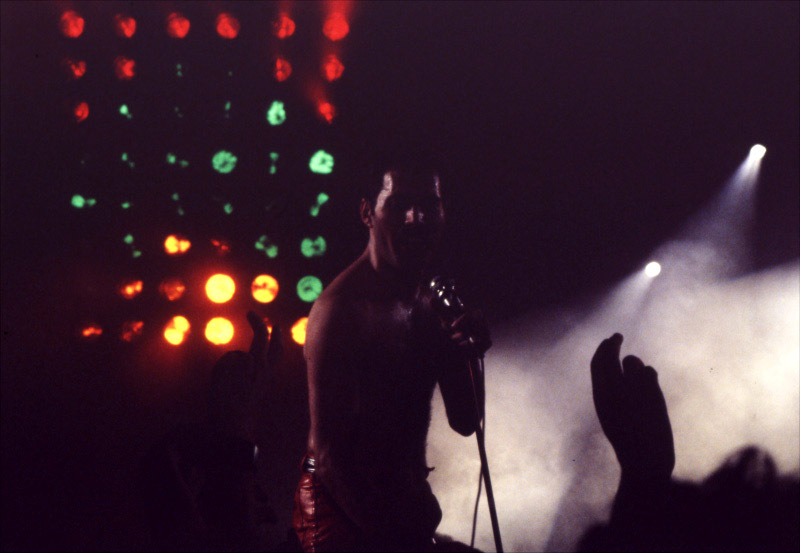 The first eight pictures were taken by Helge Øverås. Many of the others were submitted by Fabio Minero, Alessio Rizzitelli and John Fransen. 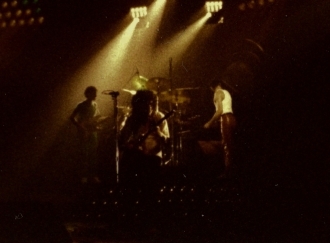 The second set was taken by Jorgen Runas, and the last was taken by Knut Gunnar Larsen. 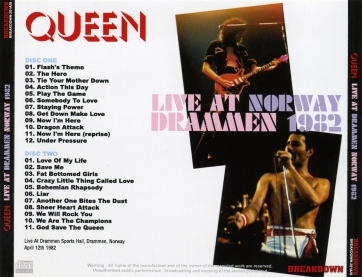 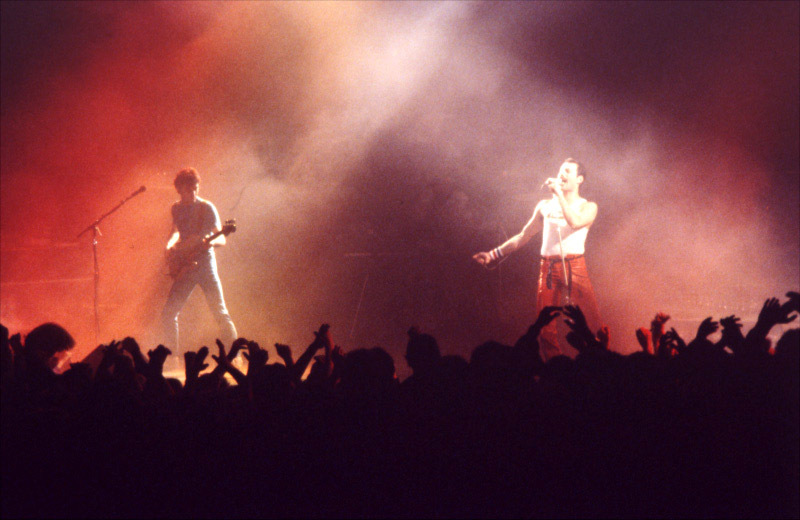 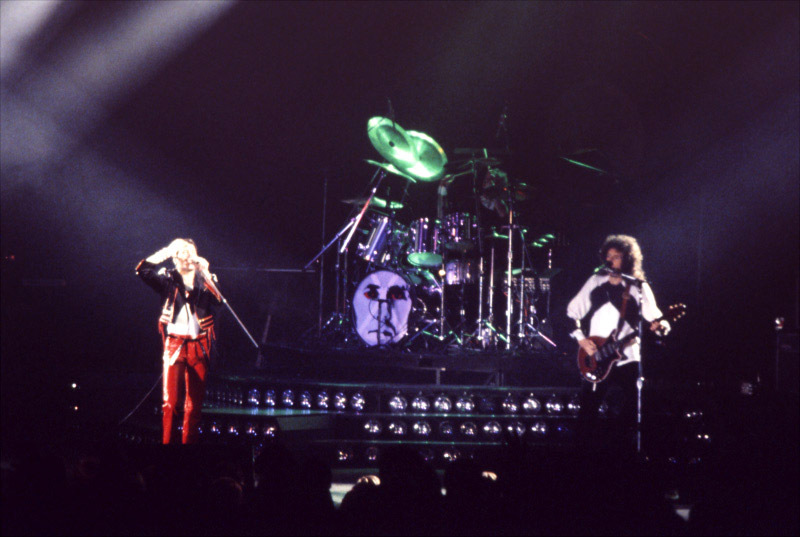 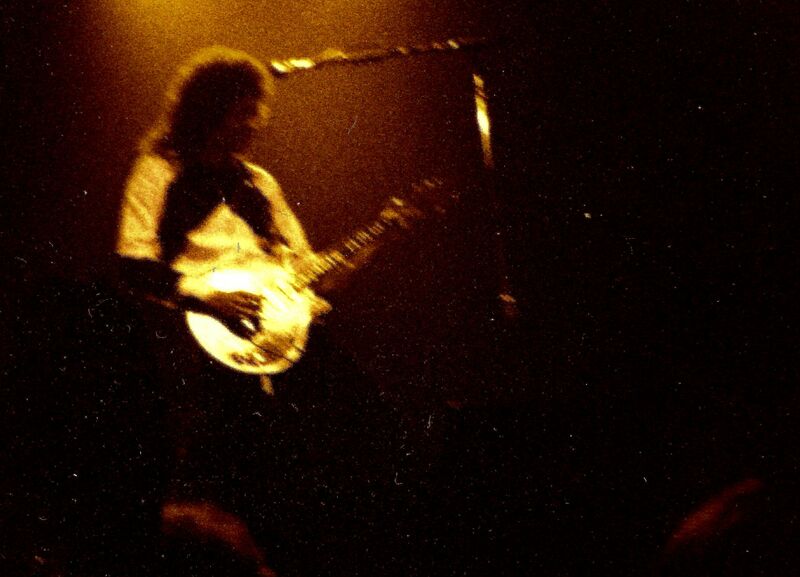 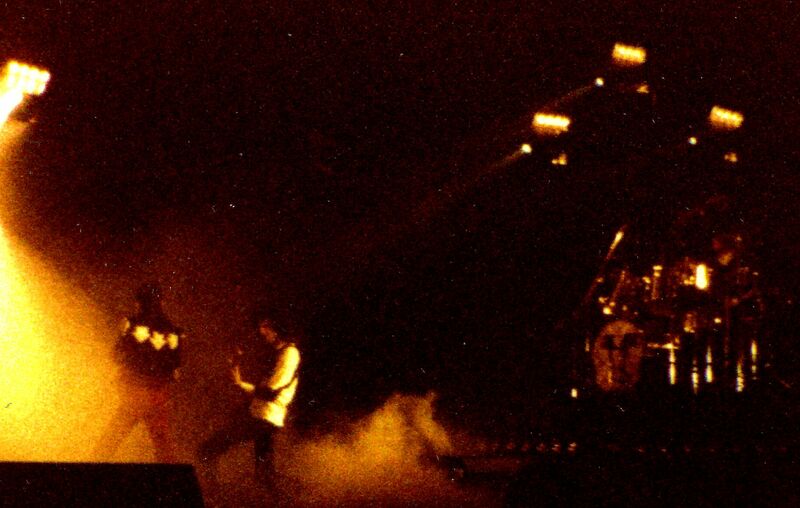 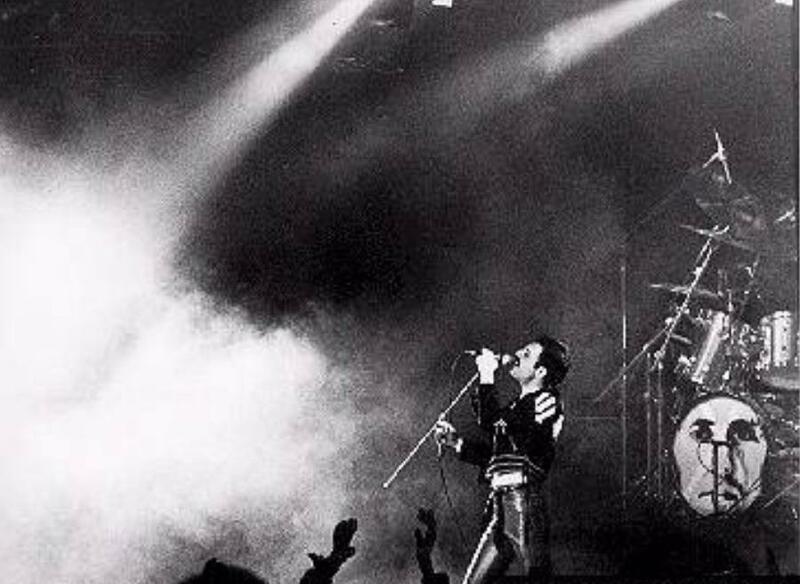 The recording of Queen's first and only concert in Norway was hoarded by collectors for years, but has now spread among fans. 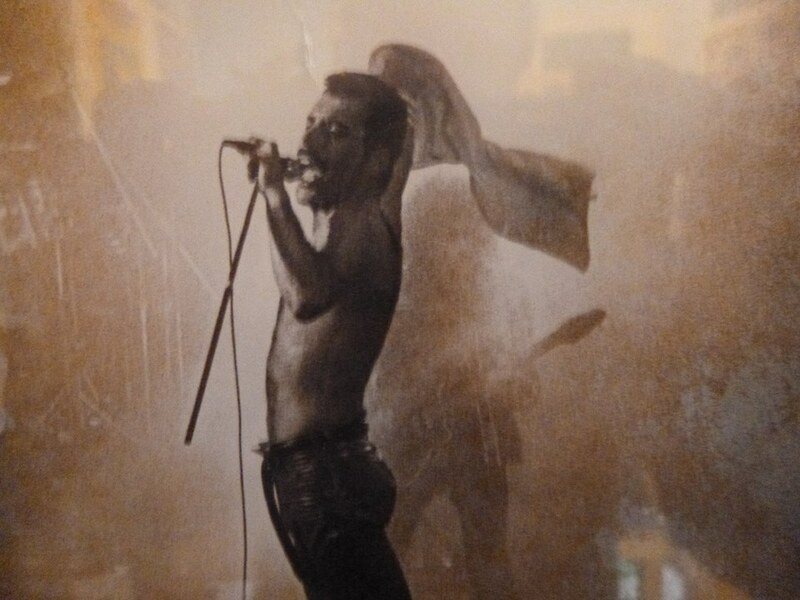 This is sourced from the above recording.